How to Improve your Ecommerce Traffic with the Content Strategy? With each passing day, Businesses, especially the e-commerce ones, are regularly changing. New businesses are being launched and older businesses are failing and vanishing into anonymity. Despite huge volatility in this industry, e-commerce business continues to grow. More and more consumers are now opting to shop online; online sales are fast growing and have started to outperform sales from the traditional brick-and-mortar stores.In this world of e-Commerce, Content strategy is an indispensable weapon for any marketing team. 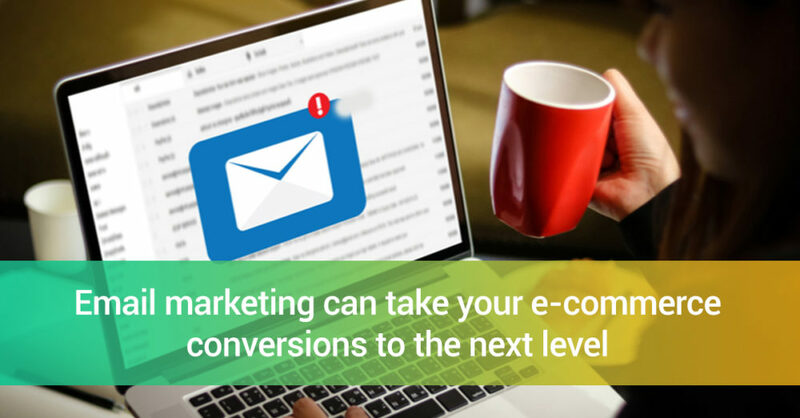 E-commerce companies have a huge opportunity to make the most of Content Marketing by offering an amazing customer experience to their potential buyers, and finally closing a sale. Click To TweetAs per a survey, 51% of the total purchases made by a consumer are done online. This has risen up from 48% in 2015 and 47% in 2014. Why is content marketing important for e-Commerce companies? Quality content on your website and in your blogs will help you achieve higher ranking on different search engines. Achieving repeat business and retaining customers is very important for any business. Content marketing helps in keeping these customers engaged and interested in your brand and your website. Good content is always appreciated and shared on various social media websites. The more your content is liked and shared, it increases your potential to reach out to new followers. Sales keep businesses running. Content Marketing can help the sales team in generating leads and can also act as a wonderful enabler. The benefits of content marketing are abundant. It helps in building brand visibility, creates awareness among online viewers about your brand or product, and it also helps in reducing final customer acquisition costs. Content marketing generally refers to how well you can use content to put your brand in front of potential prospects and customers. There is a number of variations and combinations in which content can be used and implemented to upgrade your e-commerce business. Envelopes.com is a wonderful example of the same. They have a unique approach to content marketing. Generally, the strategy is to focus on content which would help in converting leads which are at the top of the funnel, instead, they have used a strategy of using targeted content for leads which are currently in the funnel and not on top of it. In simple words, you can say that the company targeted and went after the leads which it was losing in the middle of the sales process. How did Envelopes.com do it? They improved on their cart abandonment emails. Instead of sending a single reminder to the customer who has abandoned the cart, they sent a chain of appealing emails which were divided into different audience segments, depending on the user behavior which led to the abandonment. This new strategy worked wonders for Envelopes.com and reduced their reduced cart abandonment rate drastically, achieving a cart recovery rate of around 40%. When a business or organization has less or no budget at all for advertising, content marketing is the best option to bail you out. Diamond Candles initially faced this challenge of being unable to spend on advertising and marketing due to budget constraints. The business was built on the Shopify platform and lacked even budget for any kind of sponsored Facebook posts or Instagram posts. The company derived an amazing strategy, they decided to leverage user-generated content for their content marketing strategy. The strategy was a success, product pictures posted by customers increased their conversion rates. This user-generated content strategy resulted in attracting more than 290,000 new Facebook followers. There are very few disadvantages to this strategy because content created by customers doesn’t cost and is 100% free and genuine. In this digital world and the world of smartphones, it is now so easy for people to google and find the information they are looking for. If they want to learn something, they can look up for a video tutorial on YouTube. Content is not only about promoting your products and services; it can be very useful for selling your products or services in the eCommerce market. Generally, well-written product descriptions or advertisements are used by companies to attract consumers. You can go one step further and make your content more appealing by using visual content like video tutorials in it. Post tutorials on how to use your products. Luxy Hair, has used this strategy and went about creating several video tutorials to achieve tremendous success. They are sellers of clip-in hair extensions and they have a number of videos demonstrating how to use their products. They also have videos to teach things unrelated to their products but related to hair washing, hair coloring, hair styling etc. This is a wonderful way to engross and attract your customers, without being too pushy on sales. Videos make the products come alive, filling the experience gaps for the viewers in their online shopping process. Videos are specially created to train viewers and inform them about the products and services. Rather than depending on customary content marketing strategies like blogging or posting on social media, Beardbrand uses a completely unique approach of storytelling. This strategy helps in forming close connections with their target audience. This unique approach encourages consumers to come together as a community of “urban beardsmen”. Urban Beardsman is a term which describes a man having a beard, and who cares about his style and grooming habits. This focus on storytelling, which Beardbrand consistently used for its branding and promotions, facilitated the company to achieve $120,000 in sales each month within its first year of launch. More than 60% of online viewers are visual learners, hence using a picture in your content along with your written content will reach a wider audience and also convert them. If you have a physical product, then show it off. Bauble Bar has been doing a great job of showcasing their beautiful jewelry through various social media channels. They use vibrant, multi-colored and engaging images of jewelry on their pages and posts. The products are placed innovatively and clicked through different lenses and with colorful backgrounds. The pictures make the jewelry look more appealing and induces the viewers to go and buy them. When a consumer wants to buy a specific product or opt for a service, he has many questions in his mind. They want to know about your company, the products you offer, how they work and what are the advantages of using them. To address these concerns and queries, e-Commerce websites should maintain a FAQ page to solve the potential customer’s doubts and queries. Create a FAQ which incorporates all types of questions and answers, and present them in well-written language, to answer any questions they might have. The FAQ page of Best Made which is an outdoor lifestyle brand is one of the best FAQ copies in recent times. The tone of their content is very familiar and appealing. The company has understood that the visitor to the FAQ page is different from the regular page browsers. They are visitors who were not able to find answers to their questions or doubts on your other pages and are frustrated, so have visited the FAQ page. The content on the FAQ page is so well written it calms the visitors and assures them that the company is going to be there for them even after the purchase of the product. Their answers on the page are short and crisp. Here you are ready with 6 Content strategies or approach for content marketing for your e-Commerce website. The first step you should take is to select a medium which you would be comfortable with. Then decide on the kind of approach or strategy is suitable for your type of business. Though there are entrepreneurs who adopt the opposite approach. Based on the strategy, they select the platform. Both works. Content marketing and SEO should never be considered as 2 separate marketing channels, instead, these 2 are very critical, corresponding components of a cohesive, complete marketing strategy. It is very important that the content is SEO friendly. This will ensure the visibility of content in this highly competitive e-Commerce world. If you are not ready to start your own content marketing campaign, you can take help from freelance bloggers, influencers or writers to help you churn out your content strategy. Promote your estore, Resources content marketing, content marketing campaign, content marketing for your e-Commerce website, eCommerce Content Strategies, What is content marketing?. permalink.